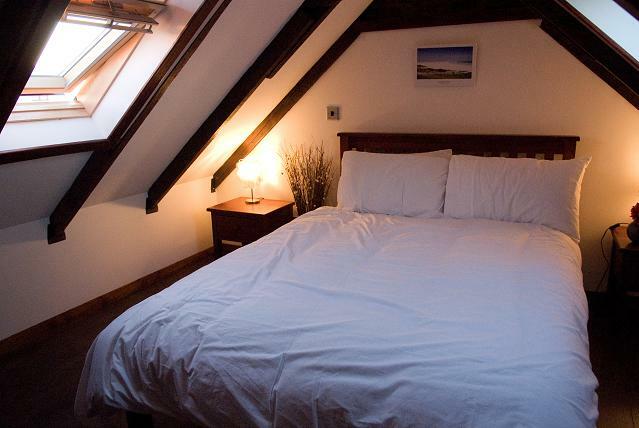 The Main bedroom upstairs has renovated beams and a spacious double bed. Guests are required to bring their own bedlinen, although we do provide duvets and pillows. 2 Blackout blinds block out the light in this room in the evening.